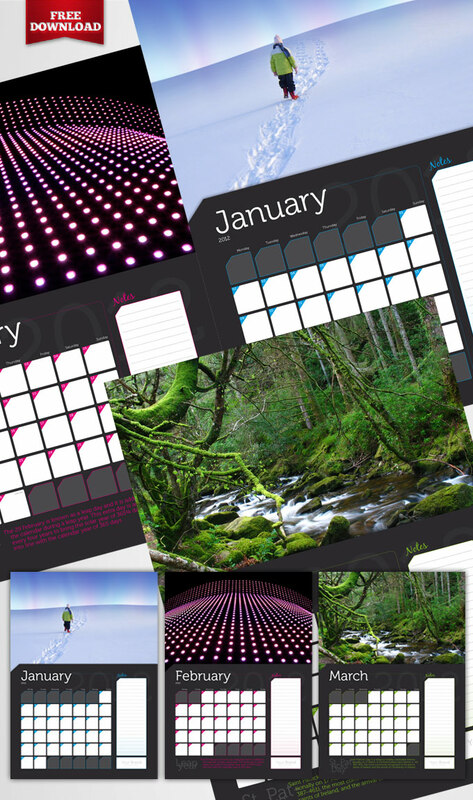 Free InDesign A3 wall calendar template. Modern, minimal design offers great flexibility, the design features large image areas to include seasonal images or photography related to your business or brand. Template includes three months, using different colours to signify the changing of the season, notes area, space specifically for inclusion of logos or branding and a fact of the month panel.